Sometimes you stumble upon an idea that feels so easy to play that you know it’s “right.” That’s what happened for me with this one. This is really just a combination of two ideas I’ve been using a lot, although I haven’t combined them until now. 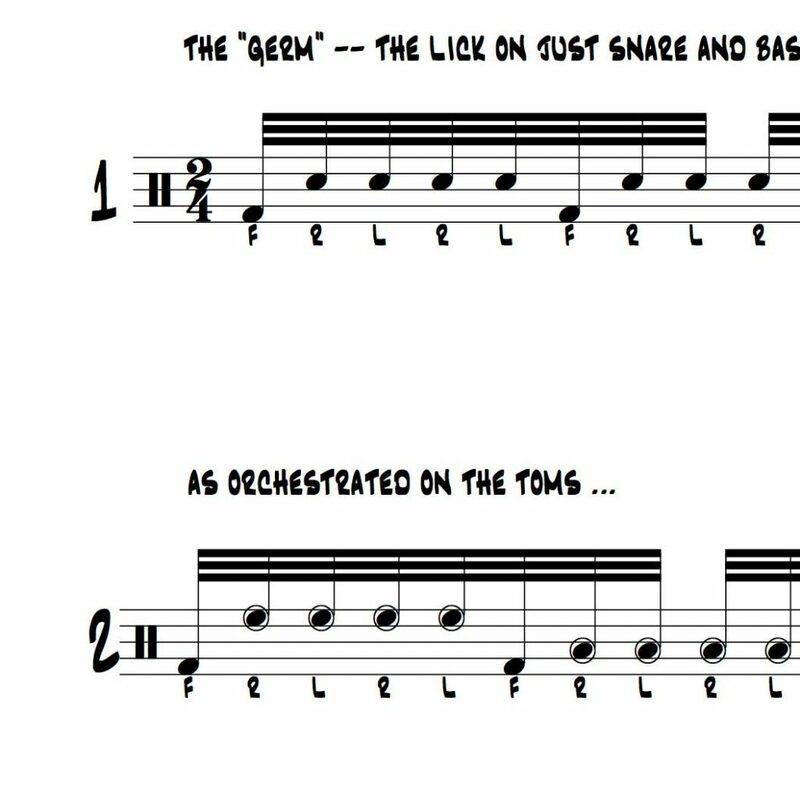 The two ideas I’m talking about are “RLRLF” and “RLF,” which I’ve been using as sixteenth notes, sixteenth note triplets and 32nds for while now. When I put these ideas together I discovered this easy to play 32nd note idea. One of the things I like about it is that it begins with a bass drum. It might seem weird to some of you, but more and more, I’m finding it easy to play ideas that begin with a bass drum note. Having that first note or two played with the bass drum gives me a break from my hands and that gives me an extra split second to bring my hands from somewhere else on the kit to where ever my hands need to be in order to begin the fill.